Since the beginning of time, Mother Earth has opened her arms to deliver us platters of nutrient-rich foods to nurture both our bodies and minds. Over time we’ve become complacent to the properties of foods that lengthen life, ignored their healing powers and instead became reliant on what’s available and what’s convenient. By going back to basics and re-educating ourselves about nutrition, we’ll not only find that foods are there to prevent illnesses such as cancer and heart disease, but we’ll also benefit from a longer, healthy stint on the planet. Want a slice of that pie? Well here’s what to put in it. What are the best foods that lengthen your life? To bean or not to bean: that is the question. Legumes are a group of natural foods which include lentils, beans, seeds and peas. They’re virtually free of saturated fats and contain no cholesterol. Vegetarians and vegans lap up these undervalued natural clusters of fibre. As well as being rich in nutrients, legumes are extremely versatile and can be added to many dishes such as broths, soups, currys, pasta dishes and salads. By incorporating these super-seeds into a mineral-depleted diet you’ll be gracing your body with natural protein, calcium, magnesium, iron, potassium and healthy fats. Flax, also known as linseed, is a high-fibre crop which grows in many parts of the world, making it readily available to many. Natural flaxseed/linseed oil that derives from it is rich in Omega-3 fatty acids, with one tablespoon impressively containing over 7,000 milligrams of the stuff. Healthline showcases the benefits of flaxseed, highlighting how it can improve our heart, reduce inflammation and protect our brain from ageing. We can even help prevent cancer by sprinkling our meals with flaxseed - this high fibre food is said to reduce the growth of cancerous cells. Most oily fish is beneficial to a healthy body and mind. But salmon is one of the mightiest pescatarian foods that lengthen your life. It’s not only a great source of protein, but is also high in Omega-3 oils and has undoubtedly contributed to the longevity of many a Mediterranean. The Omega-3 fatty acids decrease the risk of abnormal heartbeats and slow down fat deposits which clog arteries. Omega-3 is also brain food, helping with cognitive decline and dementia. Eating salmon or oily fish three times a week can help towards improved health of body and mind, leading to a longer life. Always be mindful to eat sustainable fish when you can - if we don’t help them they can’t help us. Didn’t your mother tell you to eat your greens? She wasn’t lying - there’s a reason for this. 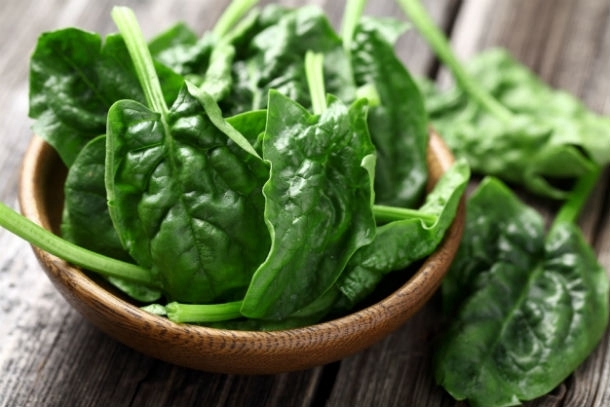 One cup of spinach contains the same amount of calcium as one cup of milk, making it especially excellent for vegans in strengthening bone density. High quantities of magnesium are also invaluable for muscle growth and cardiovascular functioning. The mineral is also packed full of vitamins A and E, great for cell growth. Until recently, goji berries were only familiar to certain cultures. Native to the Himalayas, Tibet, Ningxia and Mongolia, the superfood has been used in Chinese medicine for centuries. There’s countless claims of this little gem being one of the best foods to lengthen your life. It also improves functioning of the liver, kidneys and eyes. Add the fact that the fruit is rich in vitamins A and C and contains iron and dietary fibre - and you’ve got yourself a nutritional powerhouse. Go forage in your local health food store and munch right for a longer life. Publicado en Nutrición and tagged Food, Nutrition, Wellness, Legumes, Flaxseed, Salmon, Spinach, Goji berries.